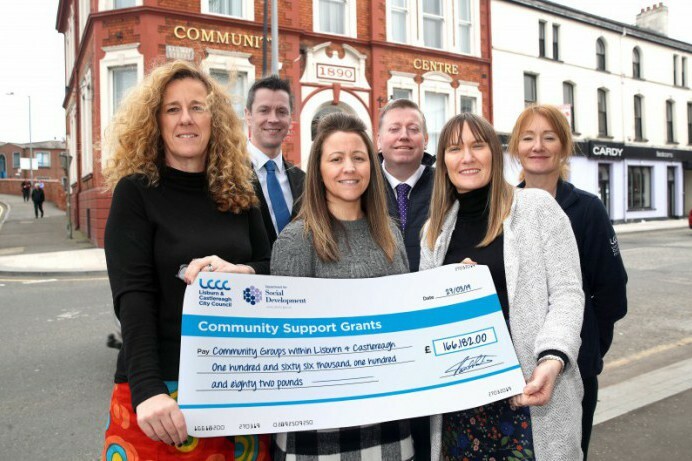 Lisburn & Castlereagh City Council has awarded grant support of £166,182.00 to 66 eligible community and voluntary groups across the council area through its Community Support Grant Scheme. This scheme provides assistance to local groups towards running and programme costs. It helps to develop a partnership between the council and the community sector across the Lisburn Castlereagh area to deliver community development outputs. Alderman Paul Porter, Chairman of the Council’s Leisure and Community Development Committee said: “The council is committed to developing its communities and is delighted to have provided financial support to 66 community and voluntary groups across its area. These groups play a very important role within their communities through developing services to meet the needs of local people and ultimately improving the quality of life in their neighbourhood.